Our Jack and Jill Pipe Stands are incredibly strong. The 20 mm square section steel legs of these stands make them one of the strongest on the market, at a price which is comparable to those with formed steel legs. Suitable for pipes 2″ through 48″ diameter, but the large “V” heads are suggested for anything over 24″. Under test conditions, the tripod base was loaded with 3500 kg before showing any signs of distortion, the standard “V” head is rated at 1000 kg. The unique modular head system makes complicated and expensive changeovers a thing of the past. The modular heads are all individually rated and SWL is stamped clearly on both halves. With the specially designed locking ring safety feature, in the event of an overload a visual warning is given and the adjusting pipe will lock, thus preventing a collapse and potential injuries. Another safety features creates 1″ safety zone to prevent hand injuries when the locking rin is released. A safe, rugged, compact, lightweight pipe stand that is easy to store on the job or in your truck. The folding legs of the Jill Stand make storage and transportation easy. 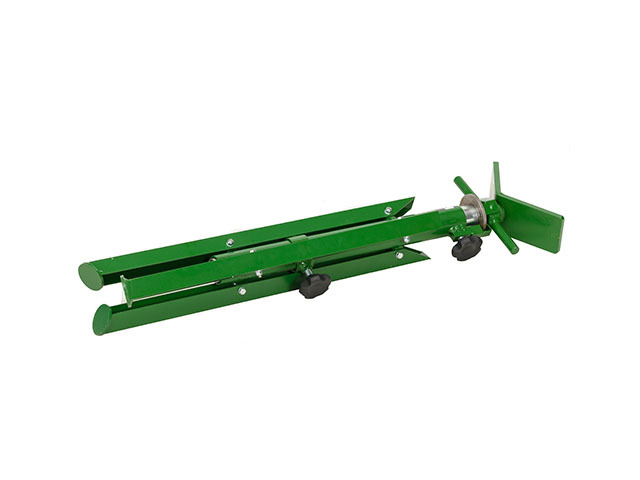 The Jill Stand folds to dimensions of 216 x 114 x 838 mm for compact storage. It also has a head locking safety feature that prevents the head from sliding free from the body, making the Jill Stand easier to transport.